Rumblings & Bumblings: Larchmont Dirt, West LA Dingbats, Gershwin Hotel To Condos? Thanks for your help. If you have a question for next week's R & B, you can email us at la@curbed.com. Answers shall be posted this Tuesdays. And now the answers to this week's Rumblings and Bumblings. 1) Larchmont: In response to that empty lof across from Larchmont Lofts (pictured above), a reader writes: "The vacant lot across from the Larchmont Lofts is owned by the same developer as Larchmont Lofts. Originally, when the lofts were for sale (before they went rental), the plan was to build another complex across the street. Which would have been amazing for the new owners of Larchmont Lofts - construction noises for two years! Now that the lofts went rental, I wonder if the developer is still planning to build anything on that spot... most likely it will just decay until another developer steps in.. or the economy gets better." We're going to guess that the land sits there empty for a while. 2) West LA: In response to the de-constructing, plank-by-plank of the Dingbats, we didn't get an answer, but perhaps they are moving the home? 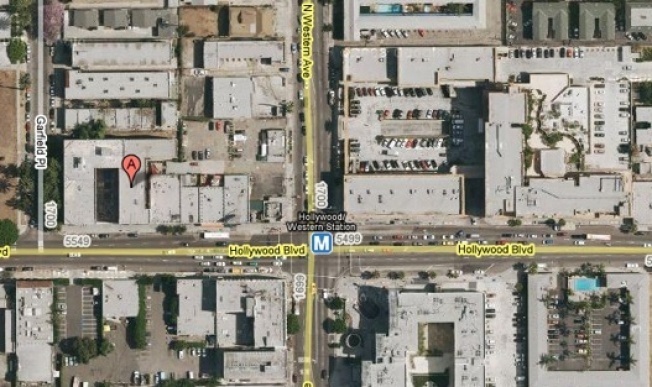 3) Hollywood: What is the status of the old Gershwin Hotel at 5533 Hollywood Boulevard? No answer emerged on the site, but we spoke with people at Panther Energy Total Fitness (it's next door at 5535 Hollywood Boulevard.) Per Joy, the manager: "I believe it's going to be condos." Site pictured above.